As requested by James Elampurayidathil, I inform you that his mother Thresiamma Mathai ( 93) passed on to eternal life this evening- India time- in Vapoor, Kerala. Myself, parish trustees and all parishioners offer our deepest sympathy to James, Jina, Jelvin and Jeffin. Also we join James at this very painful time to pray for the repose of his mother's soul and for his family's consolation. There will be a prayer service at Elampurayidathil House starting at 7.00PM today, Tuesday, Aug 28. May the soul of the faithful departed rest in peace! Please see attached list of St Mary's Feast Sponsors this year. So far we have 83 sponsors for the Feast. If anyone wants to join new to sponsorship this year, please contact Trustees immediately. We are preparing the final list of sponsors for notice and all are requested to verify the name included in the list. Please see below for the payment arrangements. Payments for the year 2018-19 can be given directly to CCD Team at Helpdesk after the mass in the Social Hall. All children currently enrolled are automatically registered when you make the payment. The fees are the same as last year and is payable to the church. Please drop the checks to the Sunday Collecton basket during the Malayalam mass ($200 Per Sponsorship). Please write the Church Envelope # and Sponsors name in the check. Payments can be made to the relief fund through the church envelope or by sending the checks to church address. All proceeds from the relief fund will give be given directly to the affected people in Kerala. All checks should be made payable to "St Mary's Syro Malabar Catholic Church" and include your ENV# in the memo field. If you have any questions please contact Trustees. Second Collection today for Kerala Relief Fund- Please Contribute. The flood situation in Kerala continues to be grim and many people were lost their lives. More than 3.14 lakh people have been lodged in relief camps across the state. Kerala battles its worst flood in nearly a century and are in need of our emergent help. It has been decided to start a Kerala Relief Fund in our church to help victims of the flood. Already we have collected $3500 towards this noble cause. All Parishioners are requested to contribute generously to this relief fund. A second collection will be taken today during the Malayalam Mass to aid victims of the floods in Kerala. Proceeds from the Kerala Relief Fund will directly send to the affected people in various churches in Kerala. Please write checks in favor of '" St Mary's Syro Malabar Catholic Church " and mention the 'Kerala Relief Fund" in the memo field. If anyone wants to pay by mail, please make checks payable to St Mary's Syro Malabar Church and mail to the Church Address below. Please reach Trustees for any help in this regard. My email is continuously hacked in the past two days. Youth Prayer Meeting this Thursday! Thank you for all of your support during Rockland's first Jesus Youth Retreat! However, our journey through faith has just begun. 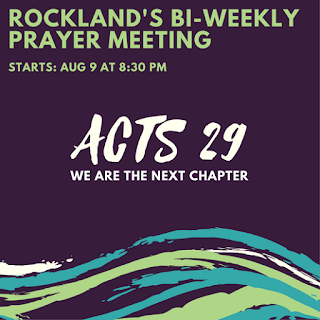 The "ACTS 29 WORSHIP" prayer meetings will be taking place every 2nd and 4th Thursday of the month. 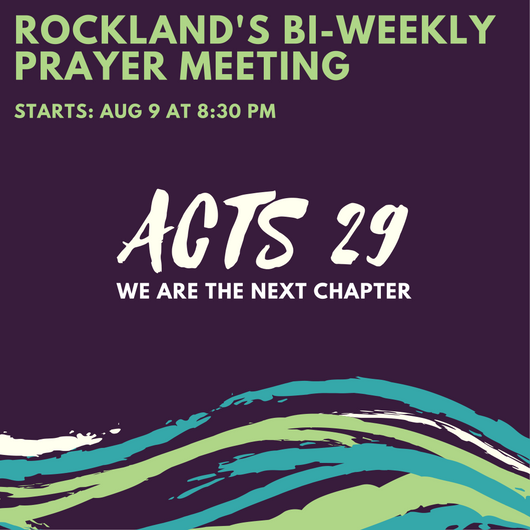 We'll be kickstarting our bi-weekly prayer meetings this Thursday at 8:30pm! Join us for a night of worship as we build up the "next chapter" of our church's history. Youth ages 13 and up are welcome.